A ceremony at Cooper’s Rock State Forest just outside of Morgantown celebrates the conservation of 3,800 acres of the Cheat River Canyon dedicated as a state Wildlife Management Area. These two species live in the Cheat Canyon and play a significant role in its conservation. The state Division of Natural Resources will focus on the recovery of these animals in its management of the new Cheat Canyon Area. Recreation is also part of the plan, on land and in water. 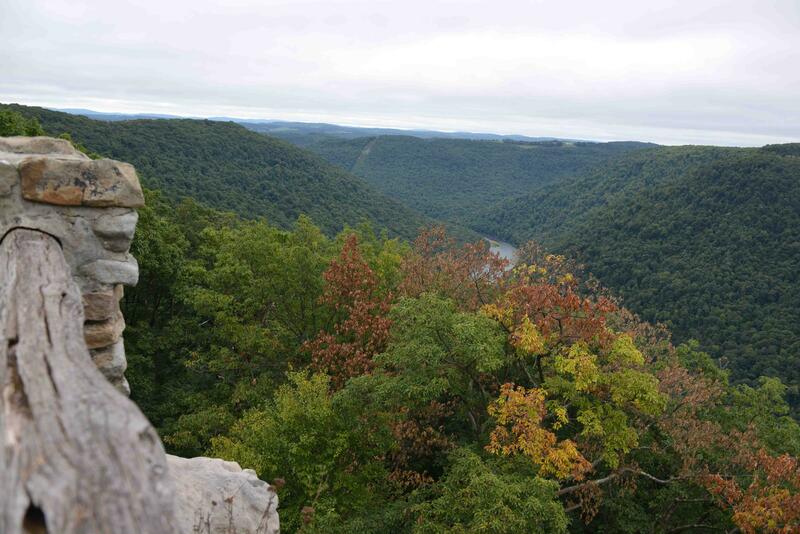 Friends of the Cheat Executive Director Amanda Pitzer says the nearly seven million dollar purchase of this section of the Cheat River Canyon recognizes the once-dead river’s recovery. "It’s land protection, it’s water protection," Pitzer said, "but even better than that, we’re looking to open it up to the public for hunting, for paddling, and to open the Allegheny Trail that’s been closed for several years." Around eight miles of the Allegheny Trail in the Cheat Canyon was closed to the public when Allegheny Wood Products owned the property. The 330-mile trail traverses the state from north to south. Executive Director of Friends of the Cheat, Amanda Pitzer speaks as U.S. 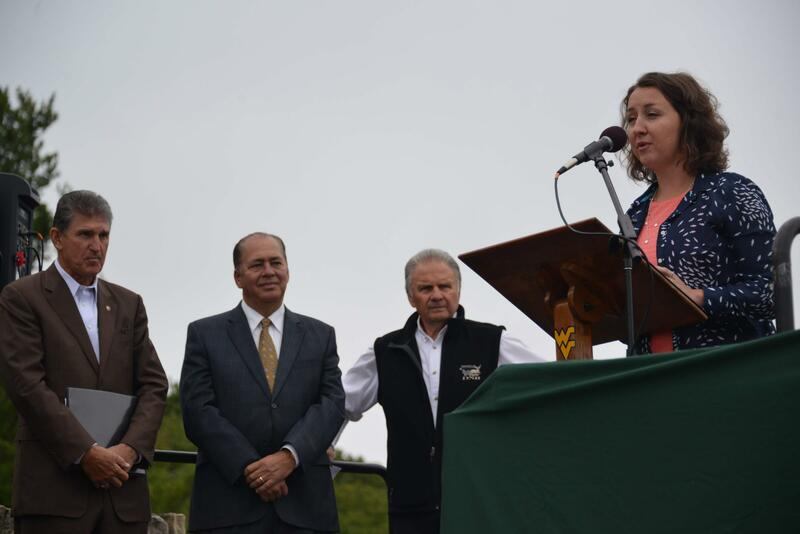 Senator Joe Manchin, Governor Earl Ray Tomblin, and W.Va. DNR Director Frank Jezioro look on. Plans to protect the canyon, decades in the making, were announced earlier this year. The Conservation Fund, the Nature Conservancy, the U.S. Fish and Wildlife Service and the West Virginia Outdoor Heritage Conservation Fund all contributed money to the land purchase from Forestland Group. What’s now known as the Cheat Canyon Wildlife Management Area is open to the public for fishing, hunting, hiking, and whitewater rafting. Governor Earl Ray Tomblin and U.S. Senator Joe Manchin were among those to join members of the Nature Conservancy, the DNR, and multiple conservation groups for the dedication. 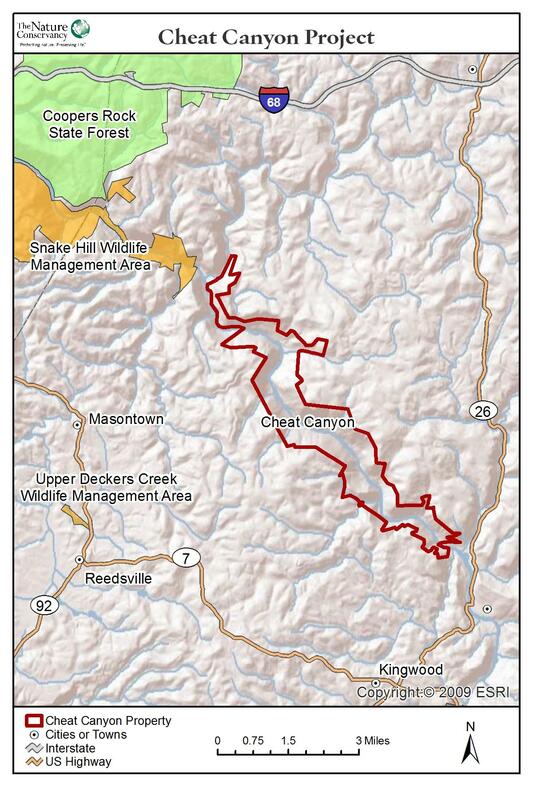 A segment of the Cheat Canyon will become a state wildlife management area and a nature preserve. Private citizens are stepping up to repair a Preston County road important to the whitewater industry there. The state doesn’t have the means to get to the Cheat Canyon access road, so Friends of the Cheat River are doing the work. The road to the take-out for the Cheat Canyon and Big Sandy whitewater runs had deteriorated and outfitters in the area were considering cancelling trips because of the poor conditions. Longview Power has asked a bankruptcy judge to allow it to settle a lawsuit alleging pollution violations by two subsidiaries. The federal lawsuit alleges that pollution discharges by Coresco and Mepco exceeded their permits. It also says other pollutants were discharged without a required permit.